A lot of people nowadays have become more health conscious. Many have turned to organic preparations to improve health or just plainly making healthier choices. An enterprising few has found an opportunity to cash in on this. 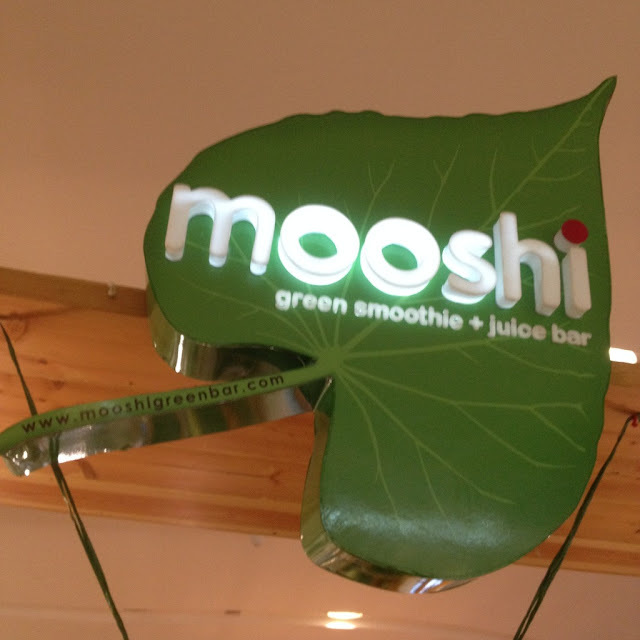 Mooshi Greenbar is one of these businesses. They took note of the business opportunities in serving organic preparations to a growing customer base. I have tried some of their smoothies these past few days. 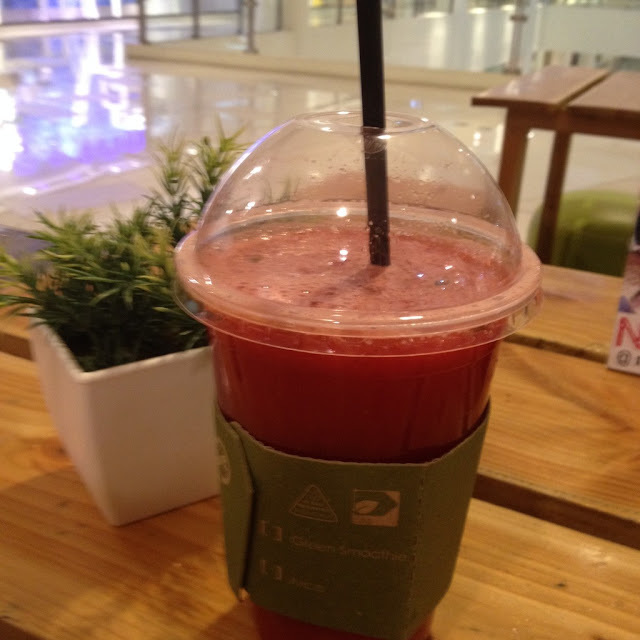 The first one I tried at their Ayala branch is the passion cooler. This was mint leaves in watermelon juice. I first tried this blend at Gustus Restaurant in Tagbilaran City, Bohol, Philippines. I must have developed an acquired taste as I already find it refreshing. At their SM City branch, I tried their energy boosting power smoothie, a concoction of blended mangoes, bananas, fresh buko juice, spinach kale, and chia seeds. I thought this would somehow taste weird. But it is sweet and refreshing. They also have strawberry blends and concoctions for wellness, cleansing, and glowing skin. They also serve healthy snacks such as salmon panini, chicken panini, and fresh quinoa rolls. 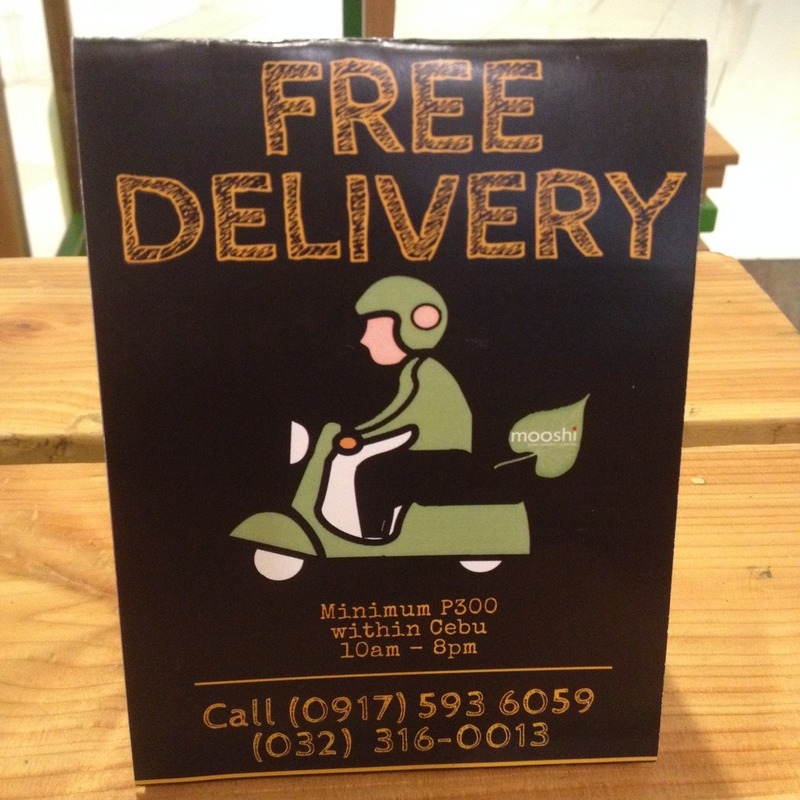 Delivery is also free within Cebu City from 10 a.m. to 8 p.m. A minimum order of PhP 300 is required. Dial +63 32 316 0013 or mobile number +63 917 593 6059 to place orders. 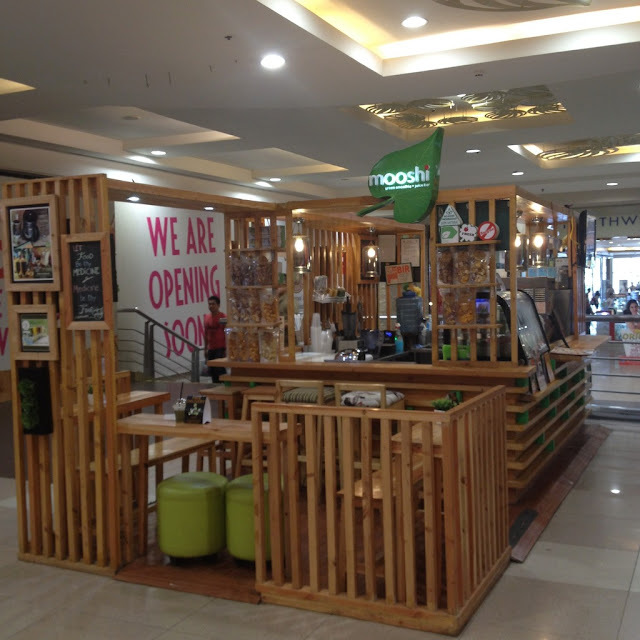 Have you tried the smoothies at Mooshi Greenbar? What is your favorite blend? Tell us in the comments below.